Most newcomers to Byron Bay will visit the Farm – a picturesque, rustic lot just outside the town. It boasts a produce store, a bakery and a florist along with the famous restaurant Three Blue Ducks. A community of produce growers that work here are passionate about organic and sustainable methods of growing crops, so you can gleefully shop all the juicy fruits and veggies that you like before you treat yourself with a delicious lunch at Three Blue Ducks. This is a place that always brims with interesting visitors, so you’ll likely get a chance to meet some truly colorful personages. 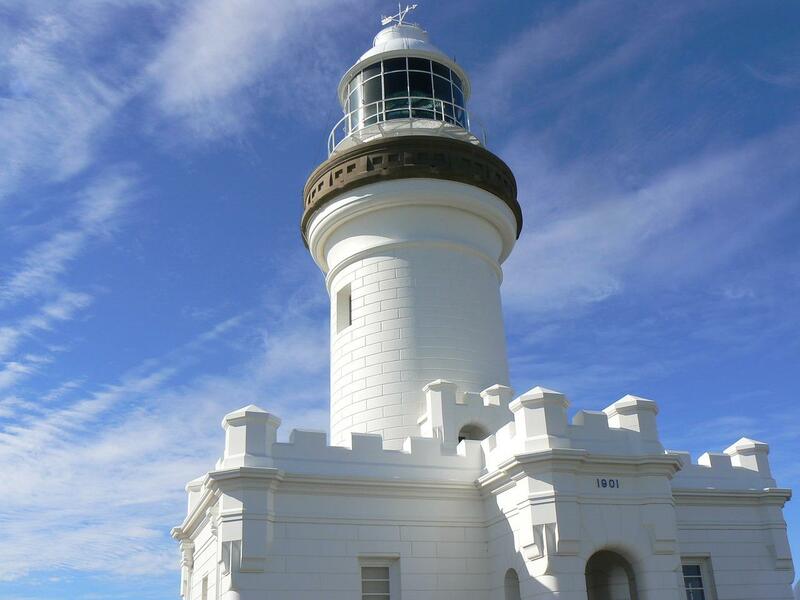 If you are a newcomer to Byron Bay, you have to embark on a hike to the town’s most defining landmark – the lighthouse. The most easterly point on the Australian mainland has been built in 1901 and it is a true gem of the region, far and wide. Early morning hikes to the lighthouse will reward you with one of the most arresting sunrises you will ever witness – as the fiery sun emerges from the very horizon of the endless Pacific. One of the most enticing and defining characteristics of Byron Bay is that it has all the hallmarks of a true haven – far removed from hectic urban centers, surrounded with nature and “insulated” with hinterland, the quaint coastal town is a place to “escape to.” Of course, the perfect getaway also offers spa centers to reinvigorate the spirit and it goes hand in hand with incredible luxury Byron Bay accommodation for visitors who truly want to be pampered in luxury. 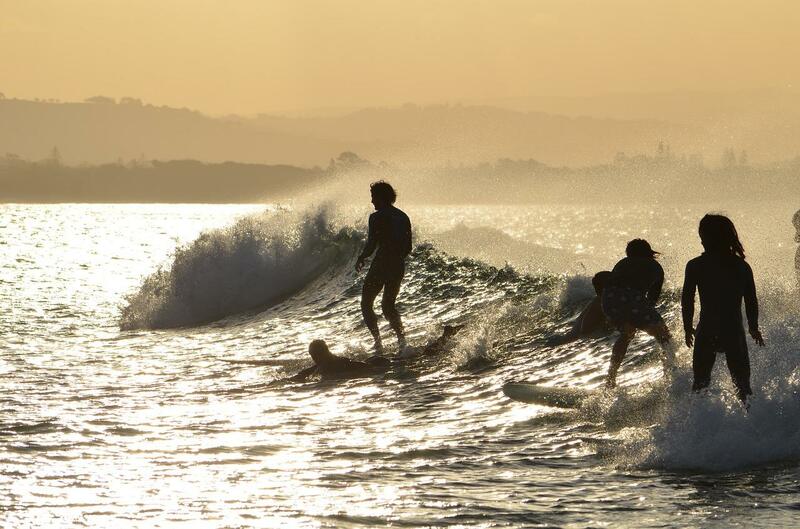 The first longboard surfers arrived to Byron Bay in 1960s and, ever since then, surfing has become an inseparable part of Byron Bay’s traditional activities. The natural break like the Pass is a beloved surfing stretch, and it is as good a place as any to take part in this activity if you have never tried it before. It is amazing for professionals and beginners alike. 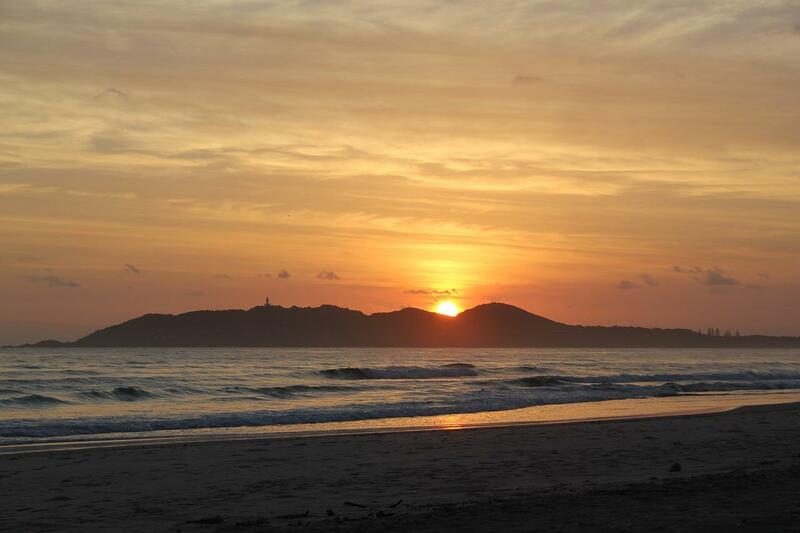 If you have covered great distances to visit Byron Bay, you have probably arrived without a bike. If you have, then you should definitely rent a bike during your stay. The town is small and the immediate surroundings and destinations are much easier to reach and explore with a trusty two-wheeler at your service. Cars can be too crude, eco-detrimental and noisy. 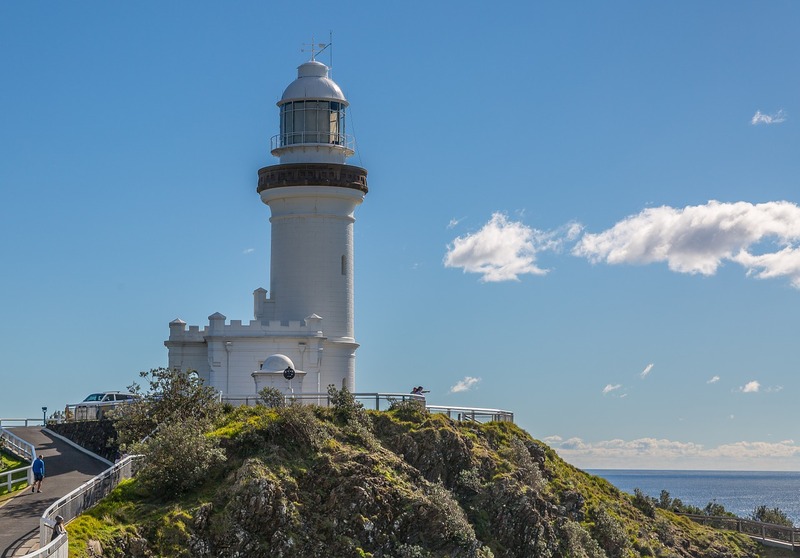 Of course, if you want to explore the wider area around Byron Bay (and you should) it might be prudent to leave a bike at your accommodation and rent a car for a day worth of driving around the winding roads which cut through astounding nature. The hinterland behind Byron Bay looks absolutely magical and there is an inescapable sense of pastoral, bucolic atmosphere that will surely remind you of your childhood. Bluesfest turns Byron Bay into a concert Mecca every year. The performers gather from every corner of the globe to offer four days of fun and hippy spirit to all visitors. Still, if you miss the time window for this festival, you can always go to the Rails and enjoy a cold pint of beer as you listen to the live band on stage. The Rails keep the musical torch of Byron Bay lit throughout the year since live music plays almost every night, so you will hardly leave bored or lacking in that department. These seven specific activities and curiosities you cannot miss while in Byron Bay are only the fraction of what this town has to offer. If you were to visit this secluded paradise, a singular weekend would probably be insufficient to savor the best of Byron Bay. At prolonged visit of at least two weeks will give you a better idea of why this small town is considered one of the premier Australian tourist locations.